You can deprive the body but the soul needs chocolate…. I normally hate fruit in my chocolate. That fake fruit creme or syrupy filling is just a turn off to me. I’d rather not eat it at all. But I took a gamble on this chocolate. I am so glad I did. The fruit and lavender is just like the package proclaims- an essence. A background, supporting actor whose job is to make the main character shine. There are not chunks of fruit or twiggy pieces of lavender. Just a subtle natural flavor. I love this chocolate so much that I have been rationing it out, hoping to make it last longer. I bought this bar at Whole Foods. If you are there, be sure to pick up a bar. 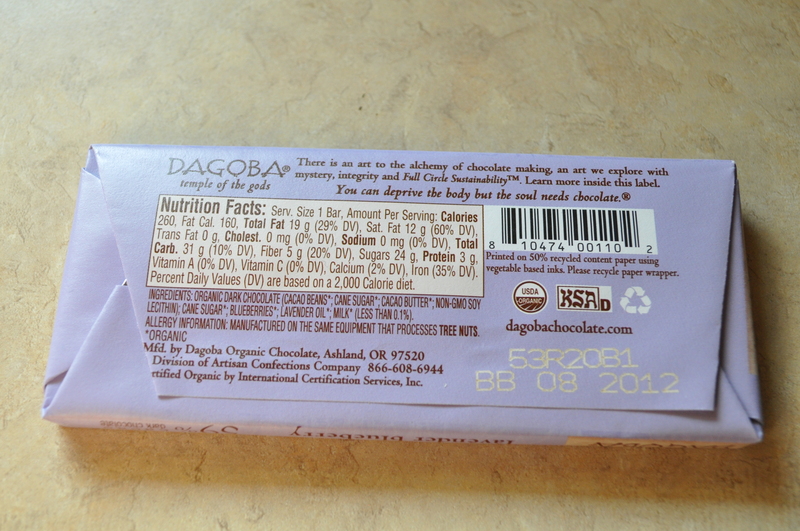 It was one of the cheaper chocolate bars they had- under $3. 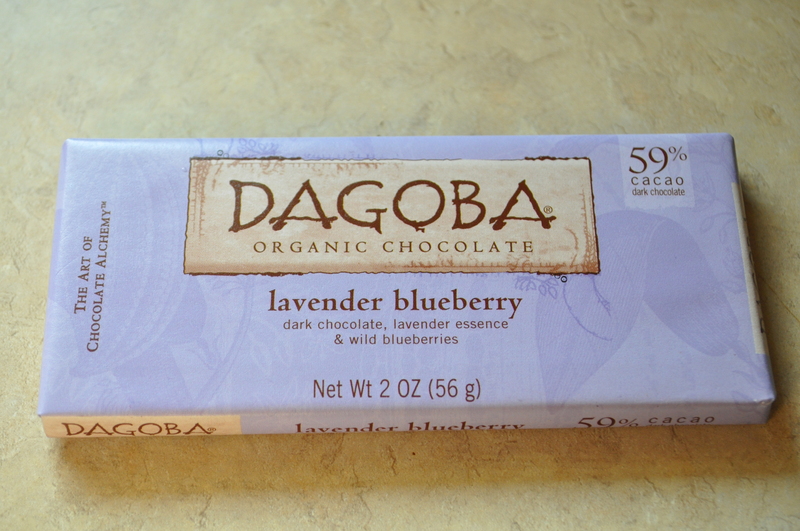 Dagoba is our favorite. This one in particular.